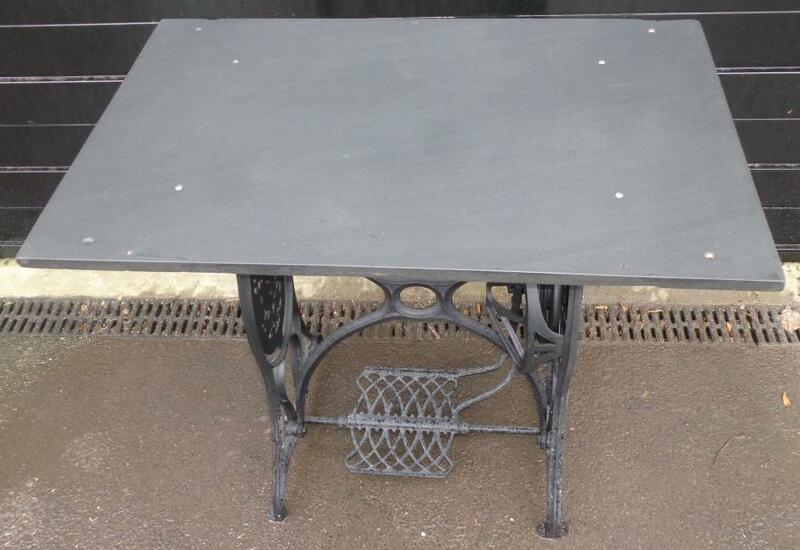 Garden/ conservatory / pub table. 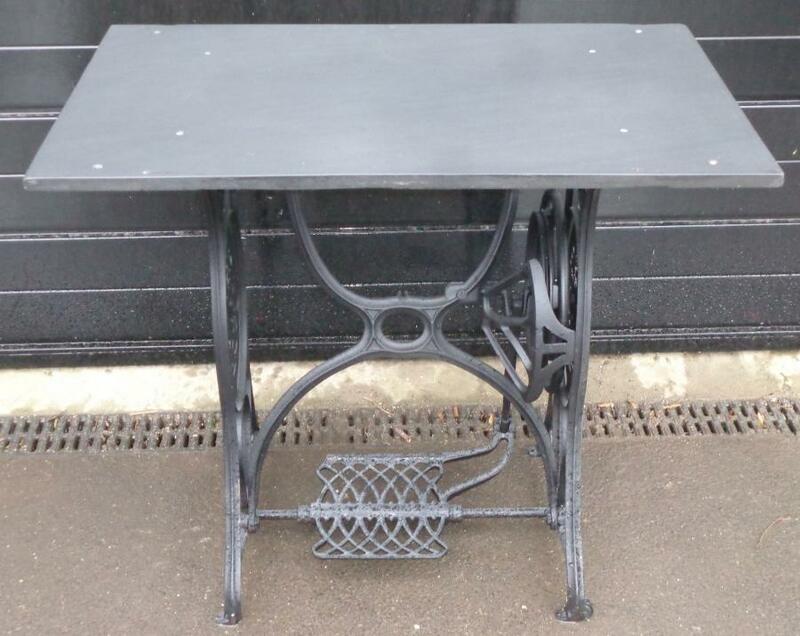 Antique cast iron "Original Naehmaschine" sewing machine base with reclaimed welsh slate top. 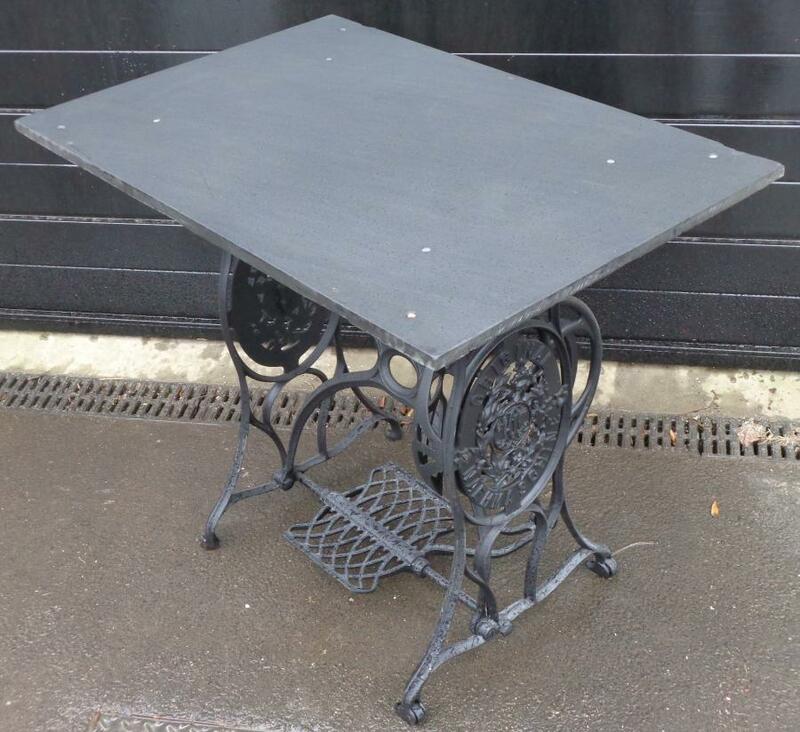 Base has been sandblasted & primed. 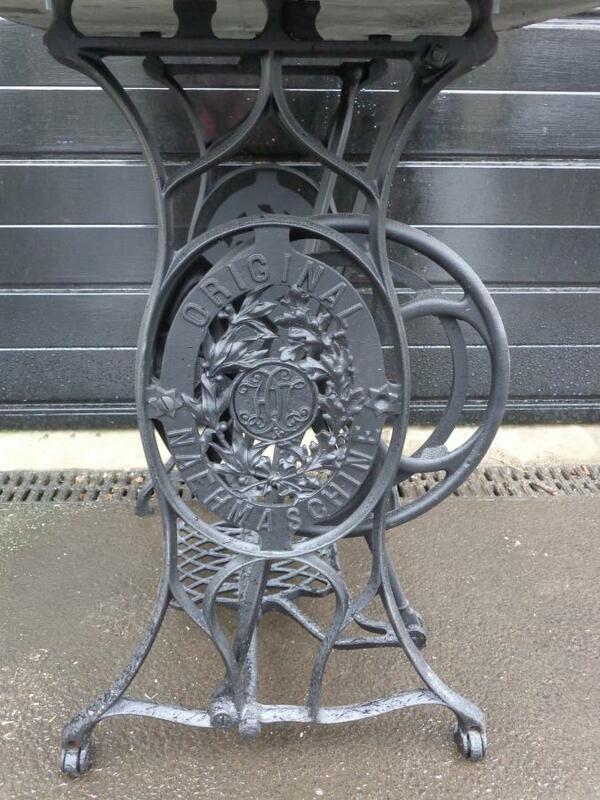 598mm X 905mm X 770mm in height.